So you've got weird teeth. Or a few extra pounds that never seem to stay off. Maybe even a huge birthmark that's super noticeable. All the normal advice on how to look hot with style and grooming…doesn't work for you. It's only for people who are starting from a normal baseline. People who aren't ugly – right? Every person alive has quirks they can't cover or change. The difference is that some men let those insecurities define their appearance – while others discover that when you're healthy and confident, your “ugly” quirks become unique trademarks that you can use to your advantage. And no matter HOW ugly you are (or think you are!) you have complete control over one aspect of your appearance that matters: your skin. Enter Tiege Hanley – the sponsor of today's article. My great friend Aaron Marino (Alfa M) founded Tiege as a way to simplify men's skincare. Whether you're a student fighting acne or you're pushing 40 and trying to prevent more wrinkles, Tiege delivers the products you need to your doorstep every 30, 60, or 90 days. Tiege Hanley's high-quality men's skin care products include a complete anti-aging system. Your skin will look and feel amazing, healthy and radiant. Are you ready to exude confidence every day? 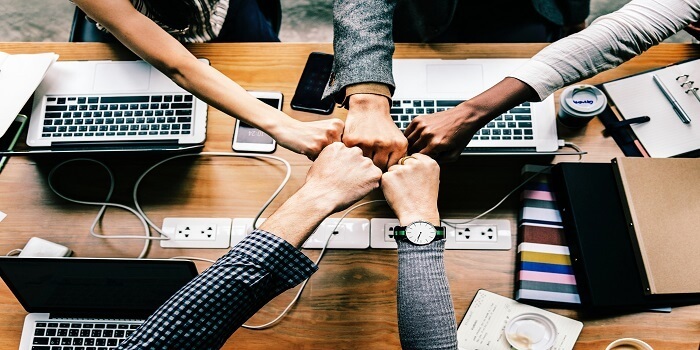 Take action and click here to become your best self with Tiege Hanley – and get an awesome RMRS discount at checkout. You might feel like the only one, but it's actually very common for men to feel less than thrilled with their bodies. Maybe you're overweight, maybe you have wide hips, maybe you're so skinny you have to run around the shower to get wet. One of the fastest, most straightforward ways to feel better about your body is to exercise. It's not necessarily about getting a six-pack. Regular activity will definitely strengthen your muscles and keep you in a weight range that's healthy for your build and genetics, but it will also work out your mental image of what your body can do. The slimmest, most chiseled, most visibly muscular bodies are not always the most functional. Plus, they're almost always photoshopped! Instead of freaking out about your size or shape and comparing yourself to an impossible physique courtesy of Men's Health, set fitness goals based around what you want to do. Keep them realistic, trackable and specific. They're way more actionable and way more achievable, and when you've seen yourself bench your bodyweight or complete a half-marathon, you are not going to care whether you have a six-pack. What this really means when you get down to it is “don't smell bad.” Pretty basic, right? But it often requires more effort than you might think. And there's more to it than drenching yourself in Axe. A lot more. Wearing fragrance can be stylish and memorable but for people to want to get close to you – you need to be starting with a clean canvas. You probably shower ever day – but is that enough? The key is to pay attention to how you smell. Always. Shower daily, and always after you work out. If your job involves physical labor, you'll almost certainly want to shower after work. Wear deodorant; refresh it during the day if you need to. Notice how your breath smells. Make sure it's clean after meals (no one wants to smell the garlic curry you had for lunch). If you're a smoker, understand that your clothes probably reek of cigarette smoke. That can be a turnoff for people – obviously the best solution is to quit, but also try to actively fight those odors in the laundry room. On that note, keep your clothes clean and clean-smelling. Do your laundry regularly. Change your socks and underwear daily. Air out your suits and coats before returning them to the closet. Use cedar trees in all your dress shoes and for pete's sake don't wear your rancid gym shoes anywhere except the gym! If you're just washing and drying your skin and moving on, your looks overall are probably suffering as a result. Features you don't like fade into the background for other people – bad skin is a different story. It's always visible, and if you aren't taking good care of it, it will always show. Click here to maximize your handsome with Tiege Hanley – uncomplicated skincare for men. Good news? It will show equally clearly if you take good care of it. And this you can do with the right skincare products for men. Find a skincare routine that works for you and make sure you exfoliate a few times a week. You can clear your acne, minimize oil buildup, delay aging, and prevent sun and environmental damage with just a few core products. Get informed about your skin type and what and stick to those recommendations, you'll notice big changes for the better before you've even used up your first tube of serum. You can't change the shape of your face, but you can change the look of your face. Lots of men want a stronger or more mature looking face. A beard is one of the quickest ways to accomplish that. 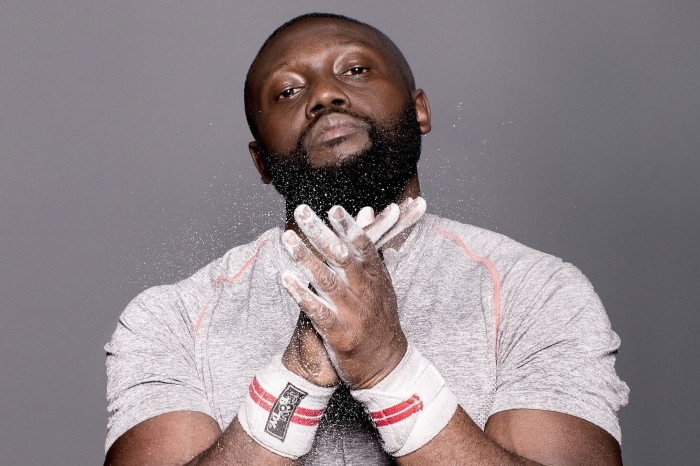 Try growing a beard – beards add interest and dimension to your face and strengthen your jaw. Which type of facial hair is best to make you look hot? 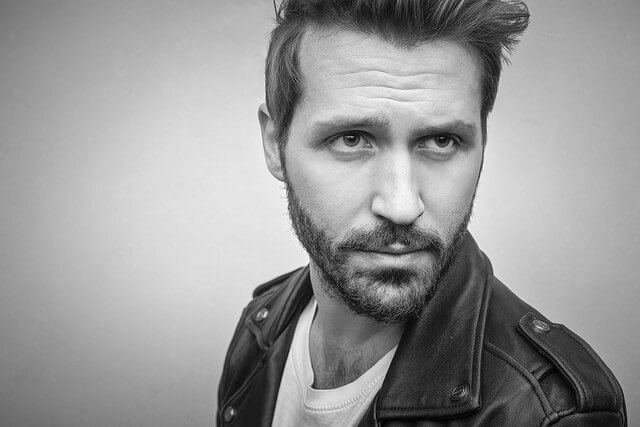 A study showed that men with 10-day stubble were viewed as most attractive by female subjects. So what are you waiting for? Give it a try. Already have a beard? Why not change it up? Switch to a goatee if you've got a full one. Or take a bigger plunge (and a good five years off your appearance) and go clean-shaven. If you're not happy with you're appearance, be brave and change something and see what happens. Jackets are probably the single most effective garment for enhancing a man's appearance. They build up the shoulders, narrow the waist and focus attention on the hands and forearms. They lean up a man's body and create a silhouette of strength. Whatever type of jacket you go for, look to maximize those qualities. If we're talking specifically about jackets that make you look hot, leather jackets deserve special mention. There's research that shows that wearing leather actually makes you come across as more masculine. If you can wear them with confidence, leather jackets signal a classically badass vibe. Shoes have historically been one of the most expensive parts of a man's wardrobe. When you call attention to your shoes, you call attention to your position in society. Quality shoes send the message that you have the means to take care of others – and the ladies appreciate that. Boots are especially great for a posture and confidence boost. If you're on the short side, a boot heel can make you stand a little taller. Shoes can take an average outfit and elevate it to alpha status almost instantly. Whether you're at a tailgate party or a black tie dinner, your shoes matter. They will make or break your look. Pay attention to your shoes, gentlemen! People really do notice your manners. Most of us are really good at treating those who are above us with a bit of respect – your boss, for instance. But how are you treating the people that have no power over you? Waiters. Janitors. Valets. Delivery people. Your co-workers, barista at Starbucks – your subordinates. All of these people make what you do each day possible. If you see them every day, you should know their names. You should tell them thank you. Treating everyone as if their contribution is important makes a difference in the way you come across in life. It may not objectively make you look hot, but it will make everyone around you see that people matter to you. And since everyone wants to matter, that will draw them to you. The research here is pretty clear: you don't want to be a lone wolf. If you walk into a bar or a club by yourself, you're not putting out any particular signal as to whether others approve of you. The people around you don't know where you stand. To many of them, you look like very little more than a lonely wallflower. You can dress and present yourself well, but when it comes down to it what really makes you look hot is how other people are reacting to you. And they can't do that if you aren't surrounding yourself with them. Best part is, this one is so easy to implement. Never eat alone. Never go out alone. Bring your wingman the next time you go on a pub crawl. Offer to host your office's next party. Your odds of drawing people toward you will be much better if you take the initiative and become the guy who invites people out. That way you're always surrounded by people who chose to come with you. The eyes are one of the first places people notice flaws. Now, once you've made a first impression, flaws are not the end of the world. But facial symmetry is a major factor in our snap judgments about attractiveness – and sunglasses provide instant balance to the face. 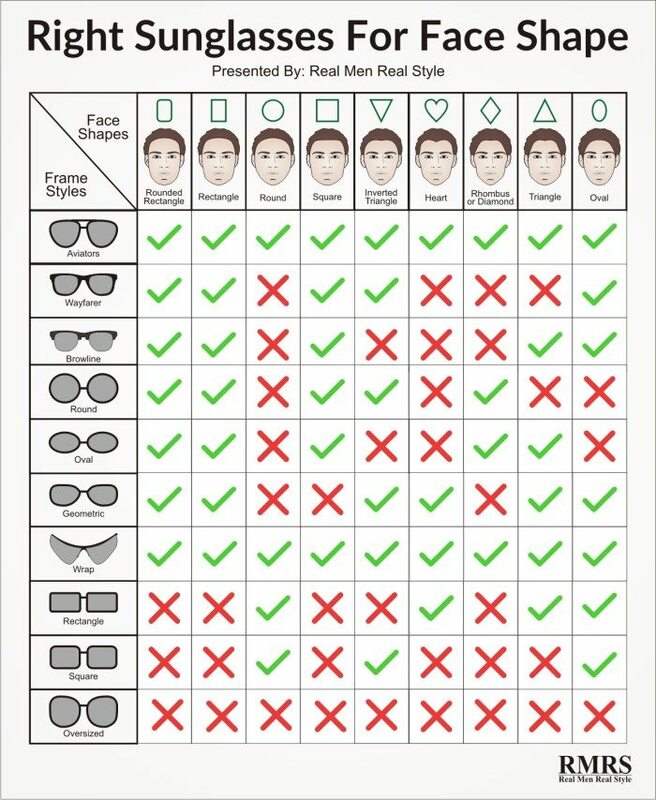 Click here to find the perfect pair of shades for your face shape. Sunglasses also help you come across as more mysterious. They tantalize people with the chance to know more. Just don't be a doofus and wear them indoors. We're long past the 1980's gentlemen. Gentlemen, you've got to have confidence. As you read above, every person alive has insecurities. Every person has skeletons in their closet and secrets they'd rather the public not now. Whatever it is about you that's different, quirky, “ugly” – you've got to own it and rock it. When you're proud of who you are and you know what you stand for, everything about you integrates into that self-image. You can focus on your strengths instead of letting yourself get bogged down in what details you would change. Tiege Hanley: Uncomplicated Skin Care for Men. Most people are a little self-centered at the end of the day. They're all worried about what others think of them and how they come across – it's sort of our cross to bear as a social species. The bright side of that is that most of the people you think are zeroed in on your big nose or weird-shaped ears or whatever drives you crazy about your own looks are probably actually worrying about what YOU think of THEM. Just bring your best effort and try to deliver people value. Know that you are most likely your own worst critic. And know that what you think of as the things that make you ugly might just be the things that make you…you. One quick fix for upping your hotness? Improve your skin. 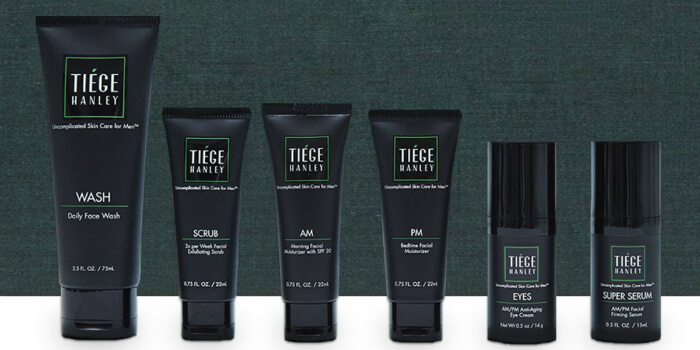 Check out Tiege Hanley – their men's skincare products were developed by world-class scientists using cutting-edge Korean peptide technology.